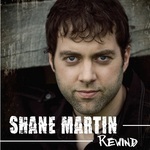 Sign up for Broadjam today to follow Shane Martin, and be notified when they upload new stuff or update their news! Rewind features a collection of 12 recorded in Nashville with EMMY award winning engineer /producer Kenny Royster. Directimagestudio. 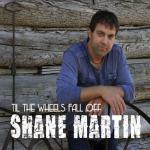 "Shane is a great singer songwriter on the teetering edge of country pop and rock where it's just dangerous enough to be fun" - Kenny Royster. About growing up in a small town and now living in an urban city and how unnatural people and surroundings seem to be. Had enough and moving back to a simple small town life. Longing to live a simple life where people and surroundings are real. Looking back on your younger days as a kid with family and friends and how much freedom you had and no responsibilities. What it would be like to live like that again and just being in the moment. Story of life with family and friends as a kid. How the summer days seemed to last forever just playing and now having grown up and seeing what it's like to be a kid through the eyes of your own kids. A close intimate evening alone with your lover.